When you're an intense computer gamer you need a setup that helps you perform to the best of your ability. 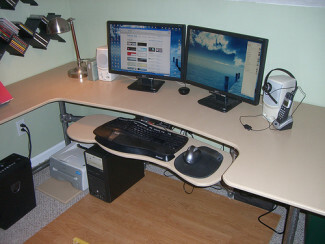 Desks built specifically for gaming allow for comfortable playing for long durations, easy access to everything you may need with minimal effort, and room for multiple monitors. It's a must to have more than one monitor for gaming right? This is where we were able to help Martin out. 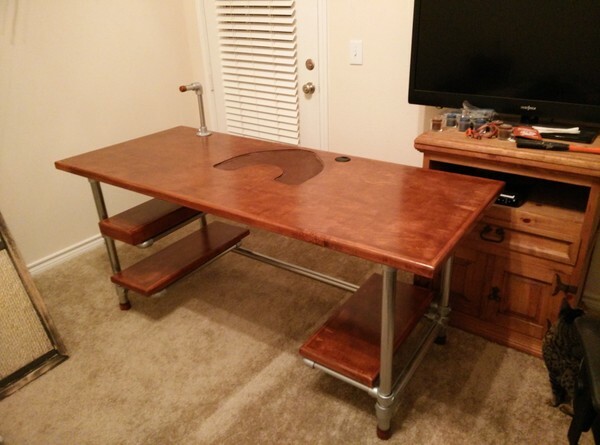 He was looking for a desk that he could use for computer gaming being particularly excited for the upcoming Star Citizen. 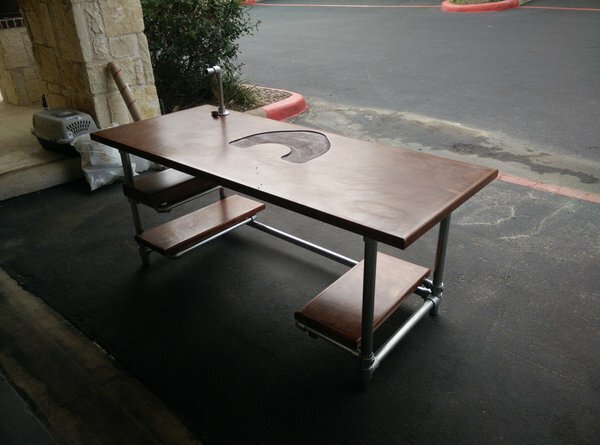 Not only that, but he also wanted to use this desk for graphic design work. 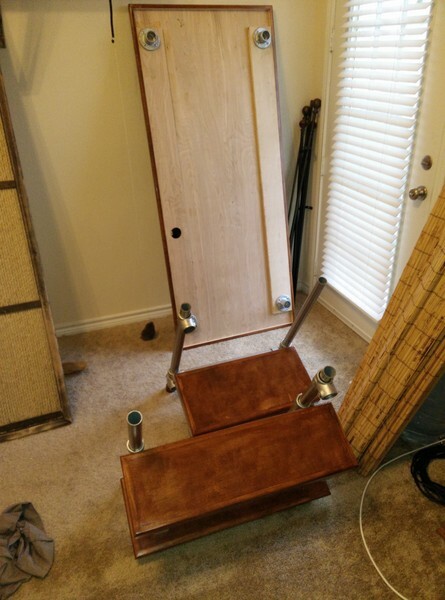 And finally, he wanted a desk that was adjustable and could be easily deconstructed and put back together since Martin was looking to move out of his apartment into a new house soon. 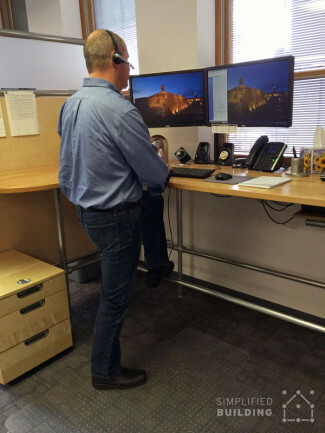 After browsing the internet for desk ideas he came across Simplified Building. 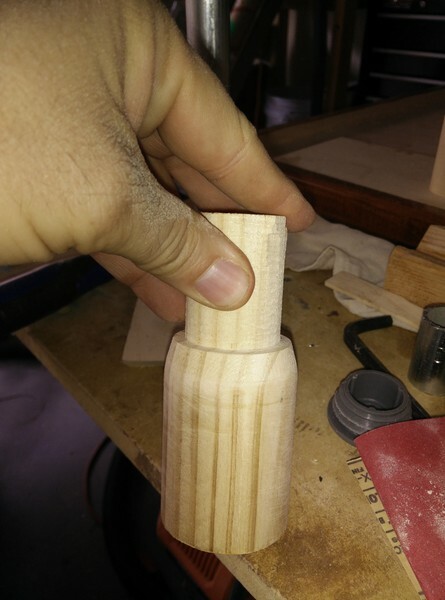 He spent some time looking through the desks and projects on the site and decided he wanted to build his own desk. 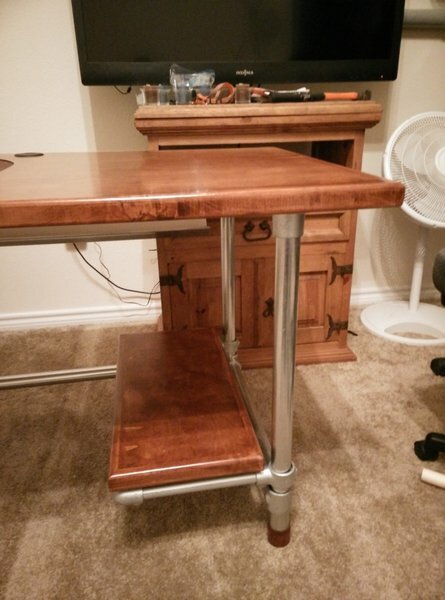 This way he would have a computer desk that suited his needs perfectly. 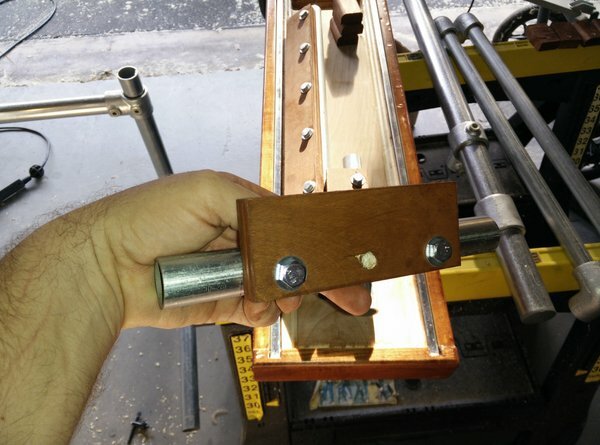 Martin ultimately went with Kee Klamp fittings and pipe to construct his desk because it allowed for the adjustability he was looking for. 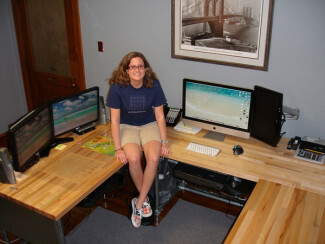 The result of his hard work and creative design is this beautifully crafted desk. 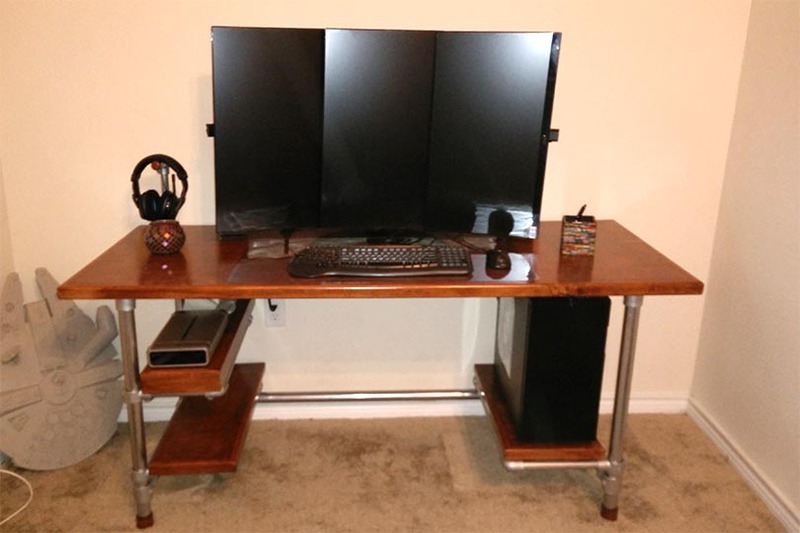 The three gigantic monitors paired with industrial pipe make the desk look like something out of a sci-fi movie. However, paired with the darker finish of the wood it still maintains that warm, welcoming look that Martin was hoping to achieve. 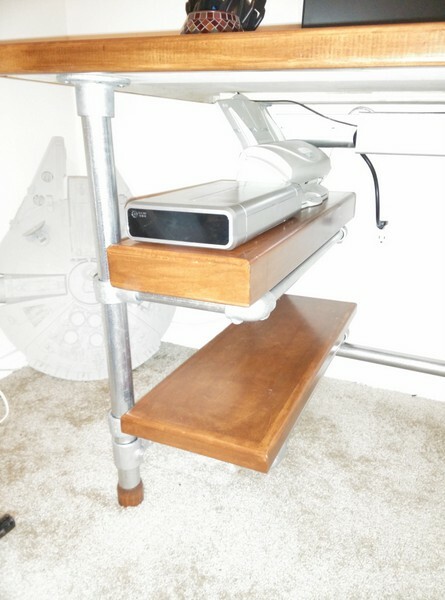 The pull out shelves and headphone stand are great additions that enhance the look and functionality of the desk. 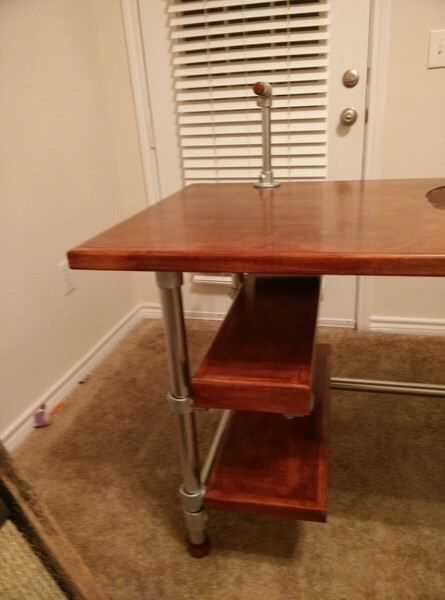 Martin is happy with the finished product and enjoys the bright look that the pipe and fittings create paired with the "warm" colors of the table top and shelves. 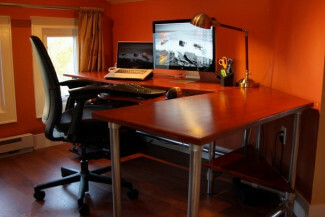 It created a "warm industrial" look that Martin found very appealing. 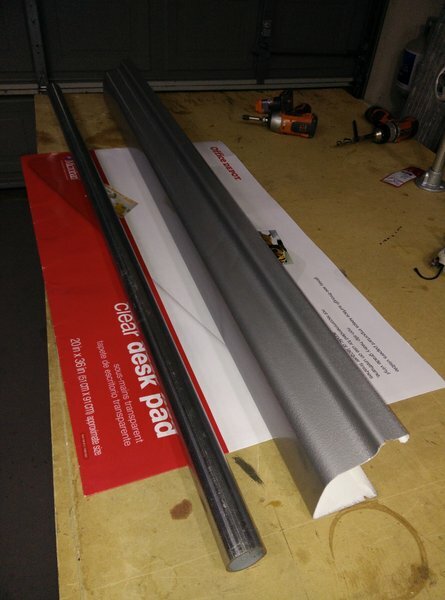 He also appreciated the superior strength of Kee Klamp because it would allow him to build a desk that would support his three 27" monitors that are accompanied by a very heavy stand. 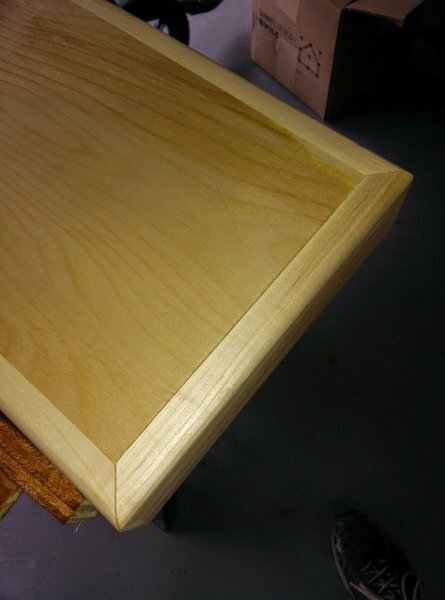 Since building his custom computer gaming/graphic design desk he has had no problems with the desk supporting the weight and has seen zero "flex". 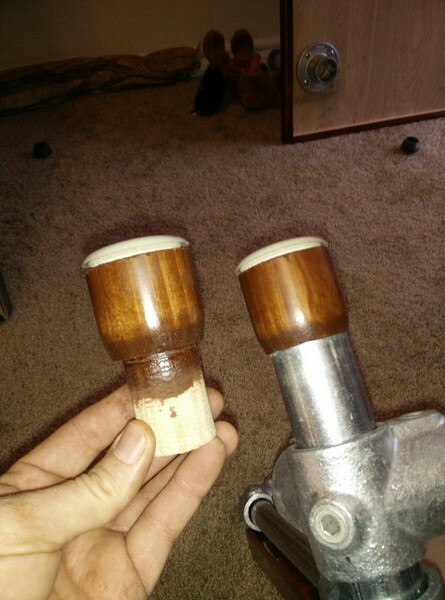 He says it's "very sturdy and nice looking". 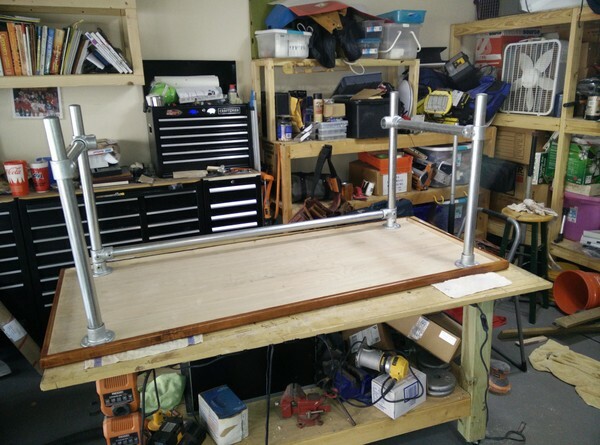 If you love Martin's desk as much as we do, here's an outlook of the steps he took to construct this fantastic desk so you can build your own. Enjoy! 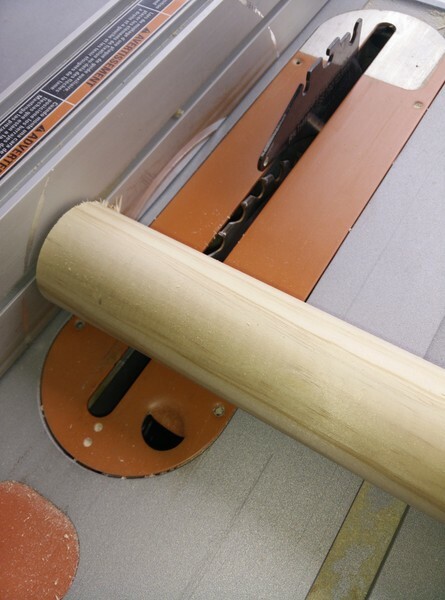 For the table top and shelves, Martin used a sheet of furniture grade birch along with a solid birch trim. 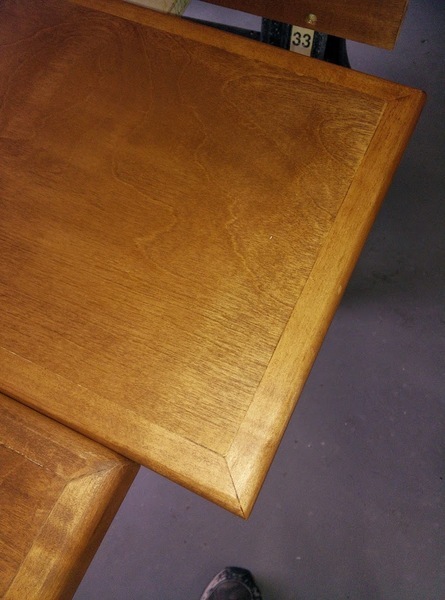 The above image shows the finished product while the two below show the table top being put together and before being finished with a stain coating. 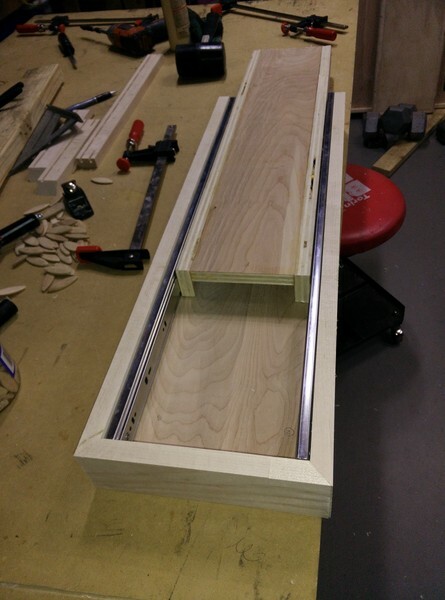 Martin used a router to cut out an area on the table top for the monitor stands so that they sit flush with the desk. 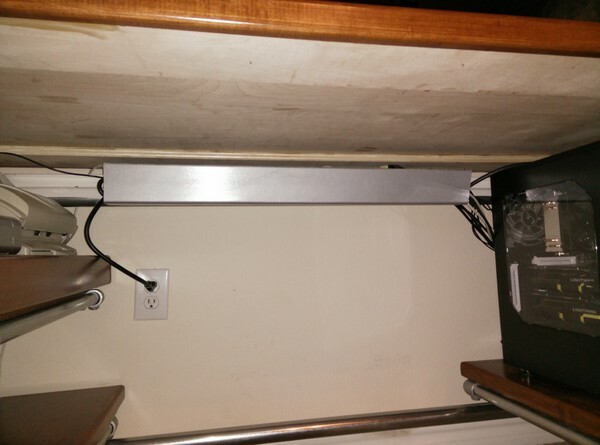 You can see in the above image the space where the monitors sit. 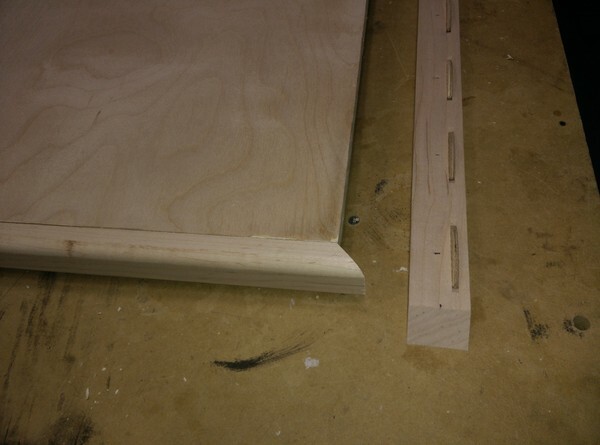 To support the trim and to create more rigidity, Martin cut two 5.5 inch strips and glued them along the bottom of the desk along the front and rear edges. 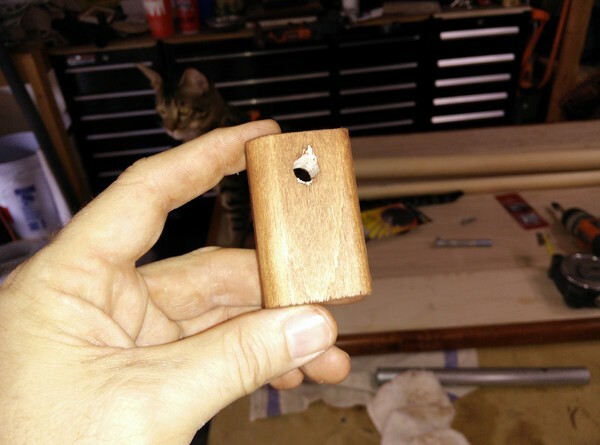 Instead of attaching the shelves to the pipe directly, Martin decided to create wooden tabs which he then bolted onto the pipe and glued to the bottom of the shelves. 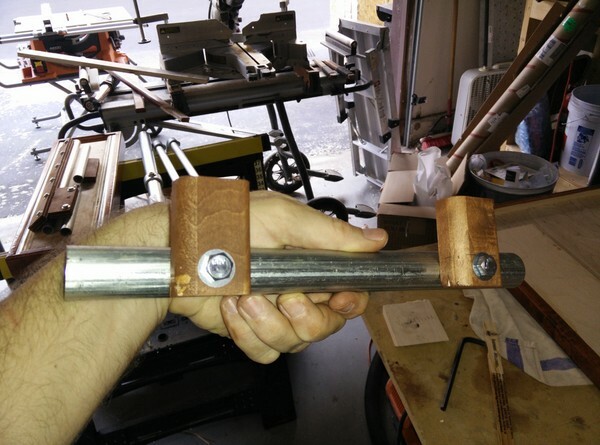 This makes the shelves look like the are floating above the pipe which Martin felt was a better look than just attaching the shelves directly to the pipe. 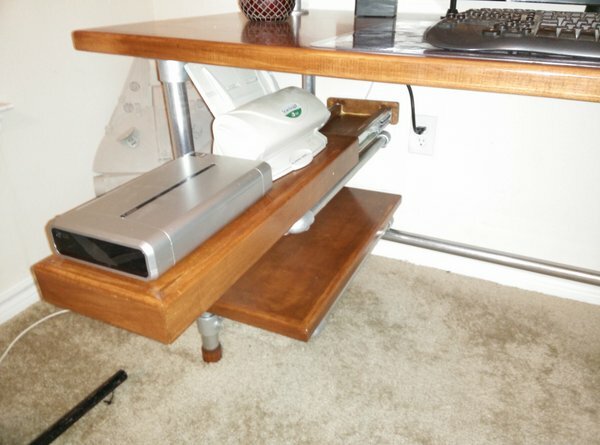 Another great addition to enhance the functionality of the desk was to add rollers for the shelves so that they can easily slide in and out. 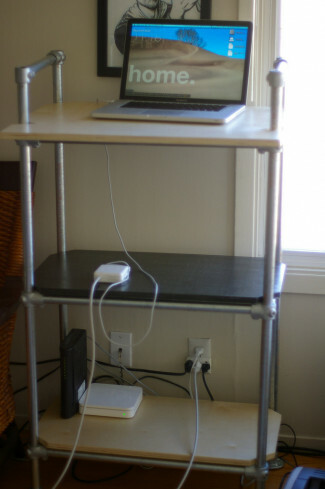 This allows Martin to easily access and utilize that extra space towards the back of his shelves. 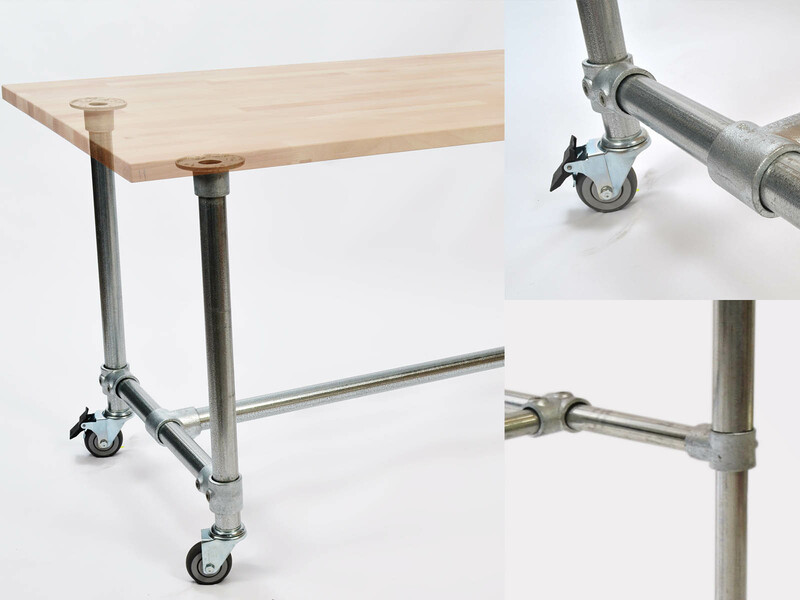 Finally, here's a shot of the legs and frame attached to the table top. 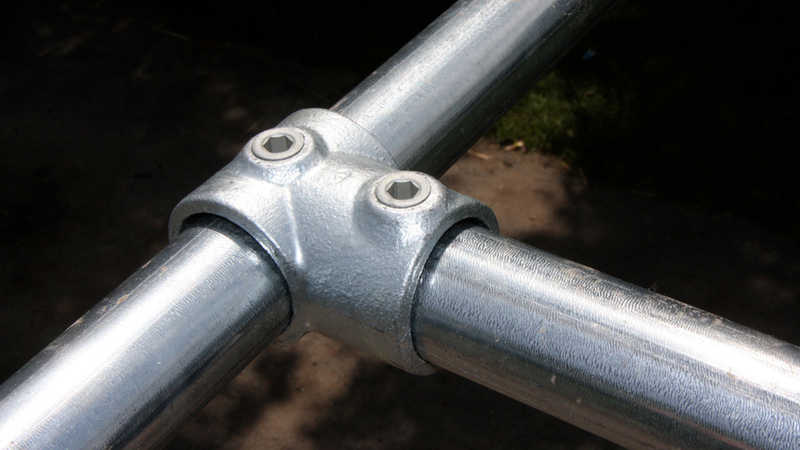 The legs and frame were built using Kee Klamp fittings and pipe. 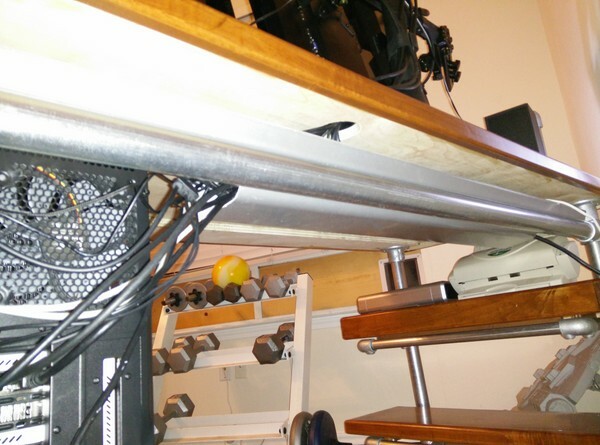 To keep his desk looking clean and organized, Martin created a cable management system using a plastic gutter. 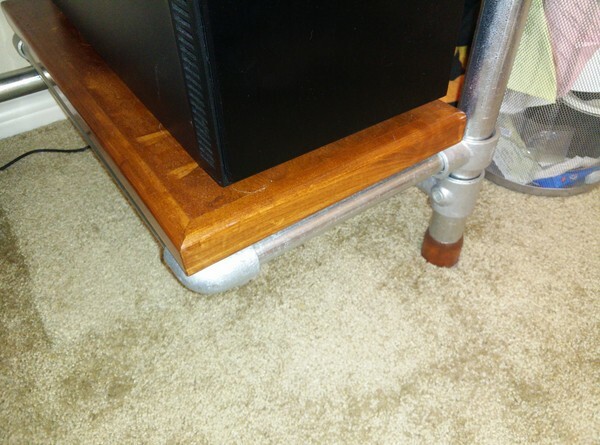 He attached the gutter just under the desk on the rear end so that he could run all of cables through it. 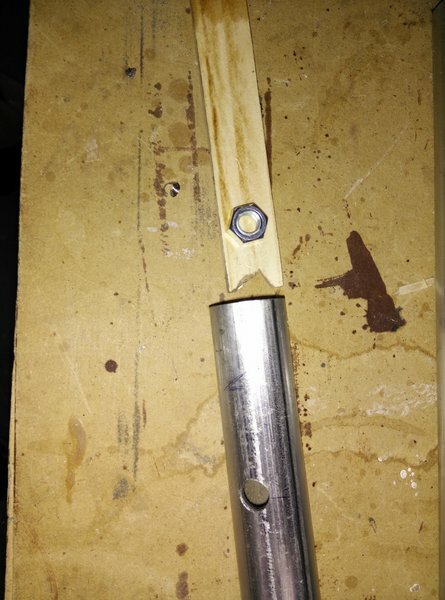 He then used self tapping screws to attach the gutter to the pipe. 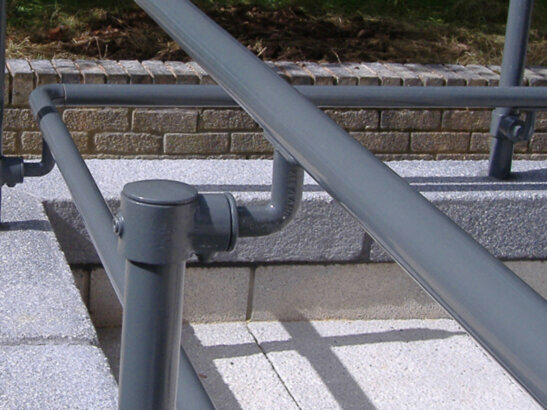 "The plastic gutter worked great as the radius of the curve matched the outer dimensions of the pipe exactly" says Martin. 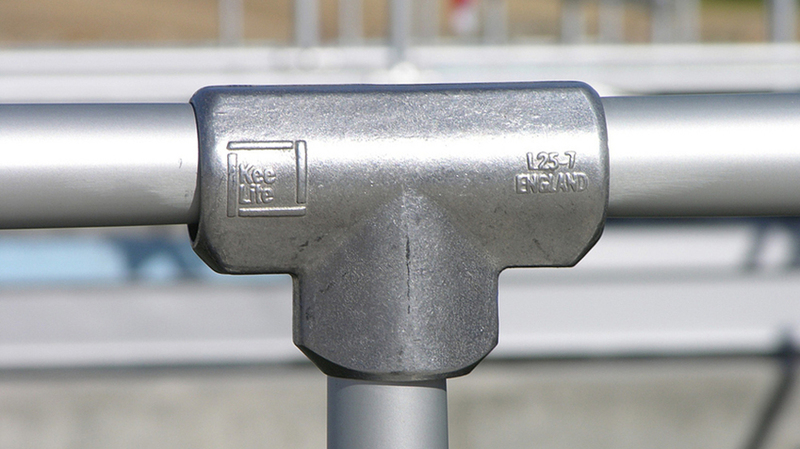 The best part for Martin of pairing Kee Klamp with the gutter to manage his cables was that he can loosen the set screws from the fittings, freeing the gutter. He can then rotate the gutter giving him easy from the front. 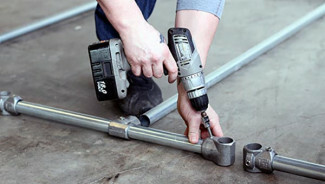 This allows him to access the cables easily when he needs to and rotate the gutter back into position and tighten the set screws to hide everything again. 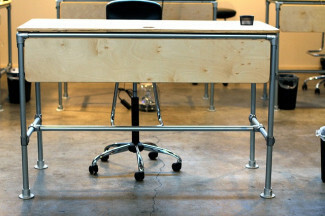 He notes that's it almost unnoticeable from the front of the desk and states that it gives it a "very clean look". 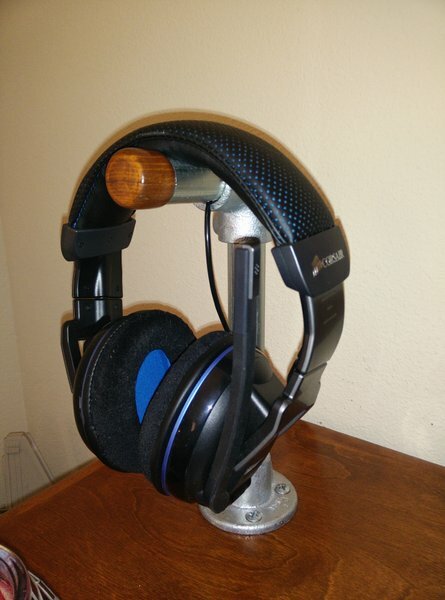 Martin also used Kee Klamp to add a headphone stand to his gaming desk. 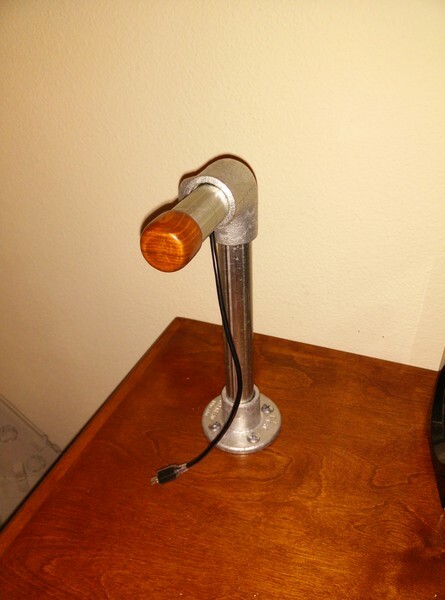 He decided to create his own plug for the stand to continue the "warm" look of the desk. 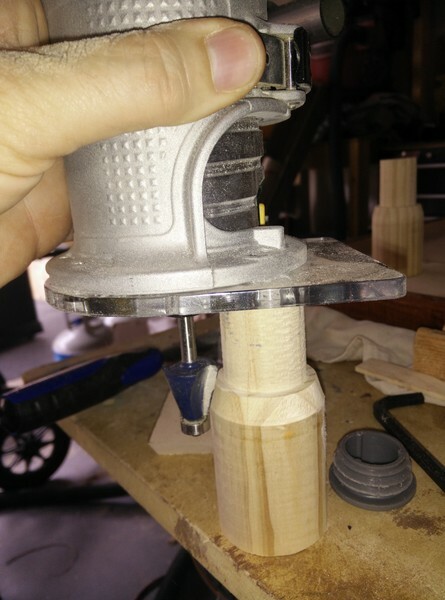 Martin cut out a small piece of wood using a table saw and then used a router to a create a smooth edge on the headphone stand plug. 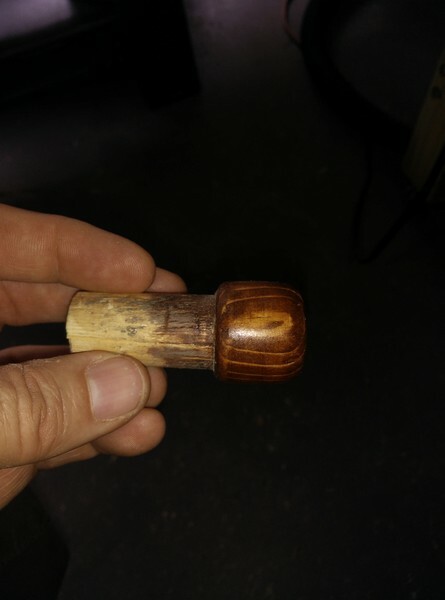 Martin is "very happy with the way it turned out". 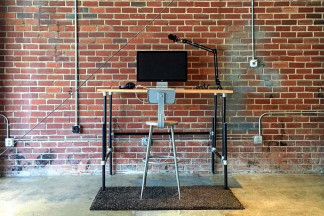 He "loved the way my feet and the headphone stand turned - the small details really add something to the overall look of the desk." 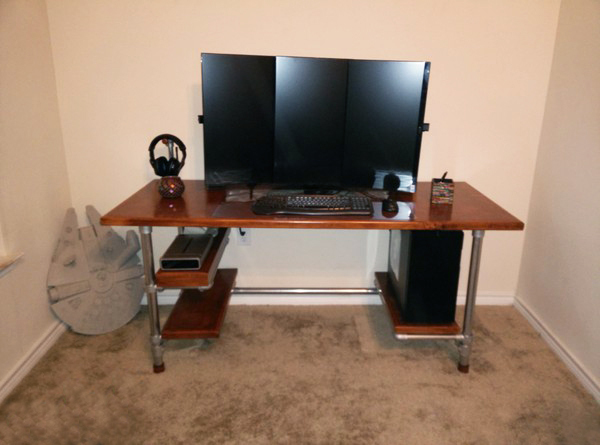 If you're interested in building a desk like Martin, take a look through our Pipe Desk Frames or you can contact us for free design assistance to help you build a custom desk. 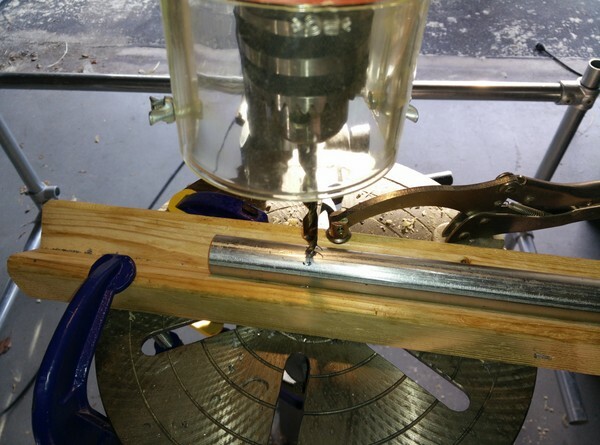 Also, make sure to sign up to our newsletter to get updates about the latest DIY projects!